Rick Edwards is a journalist, presenter and screenwriter. Rick began his career on the stand-up circuit after graduating with a degree in Natural Sciences from Cambridge University. He actively campaigns for youth engagement in politics and voting and, in Summer 2014, delivered a hugely successful TEDx Houses Of Parliament talk offering some solutions to get more young people to vote. His first book, None Of The Above, was subsequently published in March 2015 by Simon & Schuster. In it he describes the basics of the political process in the UK, gives an overview of the issues facing the country, and explains the power of your vote. Rick hosts the podcast Science(ish) alongside Dr Michael Brooks which delves in to the science behind popular culture. The series has proved such a hit that the duo have been commissioned to write a book of the same name. As a broadcaster Rick Edwards is the host of BBC1’s daytime show !mpossible. As a writer his original film Burger Van Champion was commissioned as part of C4’s Coming Up strand in 2013 and was described by the Observer as ‘a remarkable debut’ and by Time Out as ‘funny, touching [and] superbly written’. He has a monthly column in the Observer Magazine, and contributes regularly to the Evening Standard and Huffington Post. Amongst his other interests are the environment (he is a regular on the Observer Ethical Awards judging panel), mathematics (his mental arithmetic is impeccable), and snooker (highest break: 32)! 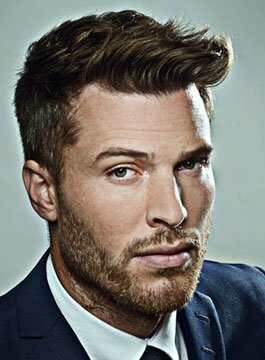 Rick Edwards is available for Live Event presenting and Awards Hosting.